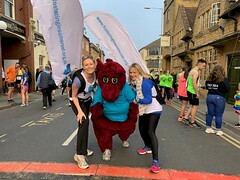 More than 100 people took part in an event organised by Somerset’s Learning Disability Partnership Board this week encouraging people to champion the rights of people with learning disabilities. They were able to find out more about the Learning Disabilities Partnership Board, what the Board is planning and how they can get involved. Talks covered key issues for people with learning disabilities such as keeping safe, staying healthy and living well. Attendees also had a chance to browse stalls about local support services, activity groups, health advice and employment opportunities. The Board is coordinated by Somerset Advocacy and jointly chaired by a person with learning disabilities and a carer. It talks to councils, the NHS, service providers and other groups to make things better for people with learning disabilities.